Operation theatre with laminar flow ventilation, infection control guidelines, latest technology of surgical, anesthetic and safety equipment. 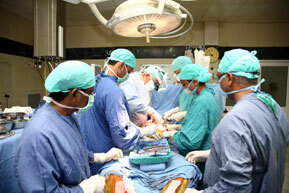 Anesthesia department with dedicated full time team available round the clock. Modern and latest anesthesia machines with back up. Intensive Care Unit with round the clock specialist care in Respiratory, Cardiac, Gastro, Critical Care, Neuro and Nephrology departments. On site blood bank with reliability of blood products vis a vie infections, expiry and other qualitative parameters. Emergency, Day care and OPD surgical facilities. Supporting surgical specialties like Plastic and reconstructive surgery, orthopedics, vascular, onco, neuro and thoracic surgery. 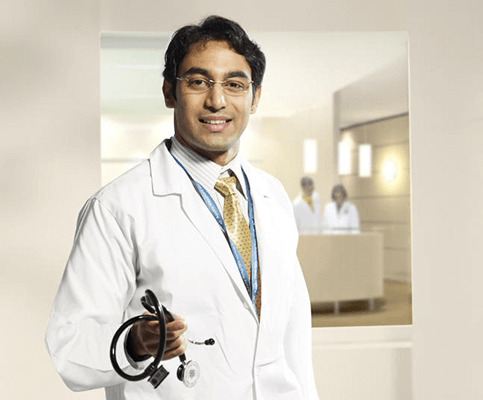 What sets the specialty apart is the wide range of services provided by a group of well trained and highly experienced surgeons from the best medical institutions of India and the world. The track record of the department since inception in 1996 shows a complication rate that is amongst the best in the world, very low infection rate and a high patient satisfaction feedback. All surgical procedures that are being done across the world are available here at world class standards.